This reality show and now big screen couple definitely has a good taste in music. 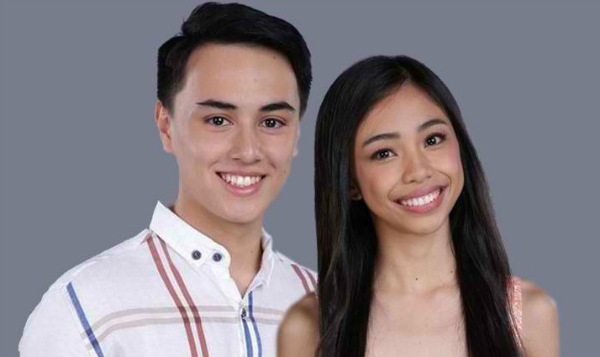 Pinoy Big Brother alums and now stars of the movie Loving In Tandem Maymay Entrata and Edward Barber exclusively shared OneMusicPH the songs they listen to (or think of, at least) at certain emotions. Maymay, who just received a Platinum award for her debut album, seems to have an updated playlist, including a song from Inigo Pascual, while Edward still has some old hits, like Eminem's. Loving In Tandem, where they played the roles of Shine and Luke, respectively, is now showing in cinemas nationwide. Among the songs MayWard has in their playlist, which of them is your most favorite? Comment below! Line-up of song interpreters for Himig Handog 2017 out now!